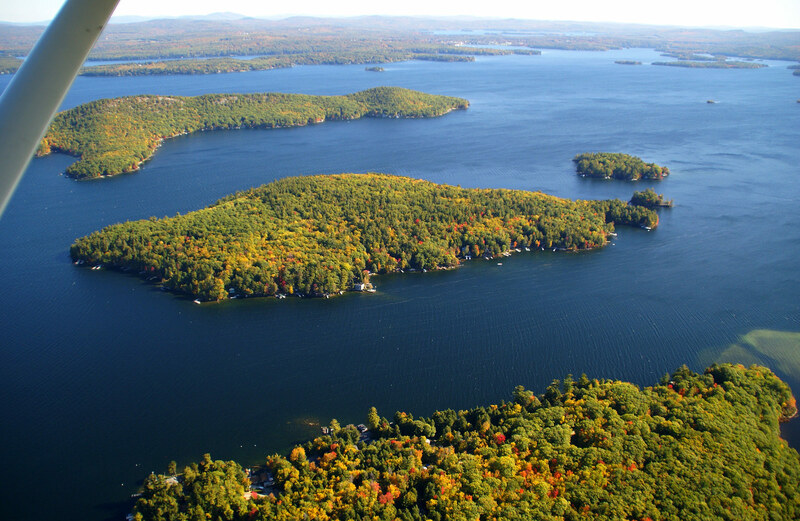 Thinking of buying a house on Sleeper's Island in New Hampshire? Learn more about this beautiful haven below and be sure to contact Nancy with any questions. To view the latest listing, search Sleepers Island homes. In 1781 the island was referred to as Flanders Island, the 1881 Boston and Maine railroad map has it named as Little Rattlesnake. At some point prior to 1869, the island was purchased by Jonas and George Sleeper and in 1869 it was then conveyed to Sarah W. Worster. Within days of the conveyance, she sold the island to James Littlefield. The island was foreclosed on in 1877 and then transferred to Cyrus Littlefield. In 1894 Littlefield sold it to William and Edward Hale. In 1904 Edward Hale sold his interest to William. In 1911 William built the castle after having been to Europe and seeing castles along the Rhine. The craftsman who built the castle were the same as those who built Castle in the Clouds in Moultonborough. At that time the castle was called Hale’s Castle. It is thought Mr. Hale lived on the island full time. In addition to the castle, he had a barn which housed horses in the lower lever and servants on the top level. In addition to the horses, the barn also contained a low mileage 1930 Victoria Coupe, driven across the ice one winter. The rear wheel was removed to run a pulley which in turn ran a sawmill. There is a cemetery on the island in which William Hale’s first wife, their housekeeper and William Hale himself are buried. In May of 1939, June Hale, Williams second wife, and now widow sold the property, including rights to a boathouse, wharf, and ROW in Rollins Cove (now Glidden Cove) on the mainland to Ivar Swenson. Ivar kept the property for 23 years until he passed away in 1962. The next year Ivar’s son, John, sold the island and all the contents to Castlewood Corporation who in turn divided the island into lots and sold them off. It was after this the Castle became known as Castlewood. On the property to the right of the Castle, there was a “Boat-el” in which guests could rent rooms with a dock space. Guests could either rent boats or be picked up at West Alton Marina for their stay at the island. This business was only in operation for a few years. The Castle and the property were kept by Castlewood Corporation until 1971 when it was purchased by John P. and Emilie Brady. In turn, they sold it in 1977 to Robert F. and Maureen Murphy and finally it was sold to Scott E. Mercer in 1984. Since the Mercers have owned the property it has been restored as it had gotten rather run down over the years. Most refer to the Castle these days as Sleeper’s Castle and may she stand for another 100+ years!